So I bet you guys are thinking..What is there to do in Helsinki? How cold was it there? What was it like? I will be guiding you through my 5 months of living in the capital City of Finland and giving you some tips and advice along the way. July is the hottest month in Helsinki with an average temperature of 17°C (62°F) and the coldest is Feburary at -6°C (22°F). The wettest month is August with an average of 90mm of rain. The best month to swim in the sea is in August when the average sea temperature is 13°C (55°F). I arrived in September and the weather was still hot and beautiful. We managed to go the beaches a few times and have picnics in the parks. There are so many things to experience in Helsinki, but I will narrow it down to the top 10. Descending into the chaos weekend of Helsinki’s excellent variety of Pubs and Bars. Grabbing a picnic and exploring the beautiful island of Suomelinna that guarded Helsinki harbour. These are the 10 then I have personally done and would 100% recommend!!! The Helsinki card gives you free travel, entry to more than 50 attractions in and around Helsinki, and discounts on day tours to Porvoo and Tallinn. It’s actually cheaper online, otherwise when you’re in Helsinki you can purchase one at tourist offices, hotels, R-kioskis or transport terminals. But to make it worthwhile, you’d need to pack lots of sightseeing into a short time. There are many different transportation around Helsinki which is very convenient for everyone. With a single ticket you can hop aboard trams, buses, the metro and even the ferry to Suomenlinna. Single tickets can be purchased from the driver or ticket machines. I had to top my Travel card monthly. It’s easy to buy, just go to the ‘HSL’ shop or again, go to any Kioski. This travel card will allow you on every transportation, a train, a bus, the metro, a tram, the ferry. 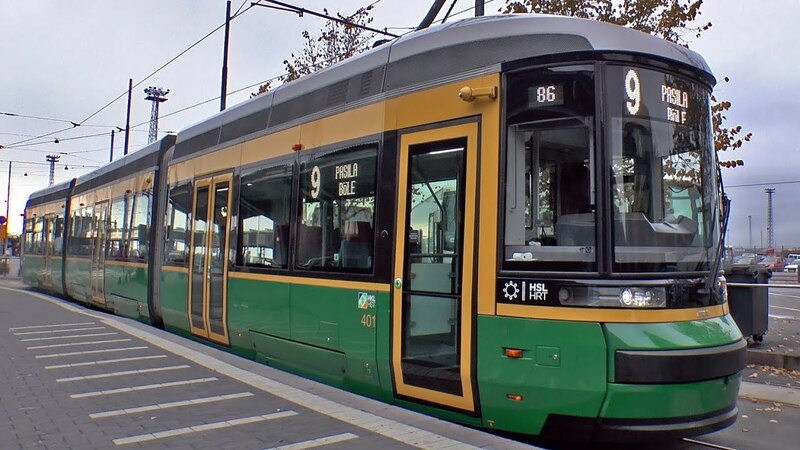 Trams are THE EASIEST transport in Helsinki as they are mostly everywhere you go, I miss trams! Catch a train to any destination in Finland. I have only experienced Esplanade Park in the winter, it was so beautiful. I felt like I was in a film and wanted to sing and dance around. But it’s also amazing in the summer, instead of frosting away you can sit back, relax, have a picnic and breathe in the Finnish air. This is called Restaurant Kappeli and it’s such a stunning place, it’s right next to Esplanade Park. I highly recommend visiting, even if you only go in for a coffee. The building is 150 years old but has the BEST reviews on food. Every time someone from home came to visit, I took them here without a doubt. A lot of events happens here. I have experienced the Christmas light switch on, The Christmas Market and New Year!! How did it feel being away from home for Christmas and New year? Honestly? AMAZING! I couldn’t of celebrated it better. I was surrounded with the best people and the atmosphere was CRAZY! We arrived into senate square for the famous countdown of the year, with beverages, live music, friends and fireworks! There were famous Finnish artist singing, but obviously there was NO chance us understanding, but we rolled with it and danced anyway. Spending New Year in a different country has actually made me want to do it every year now, I just love involving myself with the different cultures. Who knows? maybe I will? But overall it was such an eyeopening experience for me that I will never forget. Uspenski Cathedral is an Eastern Orthodox cathedral in Helsinki, Finland, dedicated to the Dormition of the Theotokos. Kiasma is a Museum of Contemporary Art under the umbrella of the Finnish National Gallery. Its primary role is to educate the public on contemporary art and to strengthen the status of art in Finland in general. This was my favourite Museum I visited whilst being in Helsinki and I went to A LOT of museums. The fee is 10 Euros, but the first Monday of every month it’s free! It’s not just like any other museum, it’s modern and quite interesting. You know when you visit museums and you’re just thinking “Why am here?” “Why am I standing here looking at a painting that I have no idea about?” Well, this one was no where near like that! There are a lot of awful events happening across the world recently. So I would like you to reflex back on this photo. In the moment I read this, I honestly couldn’t believe how true this was and it made me feel positive. Not only did this piece of art give me goosebumps, but it made me cry. I managed to read all of the begging signs, every single one had a different story. Now, when I walk passed a homeless/begging person I would stop and think about their background and their story. But the one that I quoted touched me a lot, they are REAL people, living on the streets, stranded, wanting help to get back to their loved ones. Suomenlinna is accessible only by water. A ferry service runs from the Market Square to Suomenlinna throughout the year. In the summer season, a water bus service to the Island is also available. Summertime, you can organize some activities for you and your friends, or even if you go over there for a picnic or BBQ! 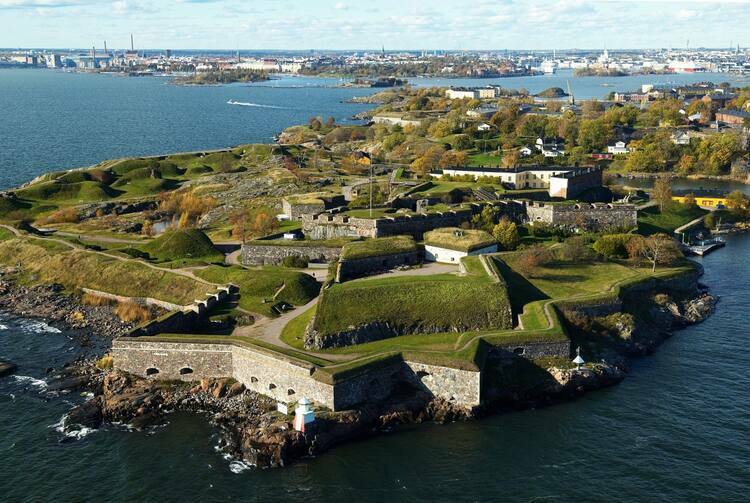 The trip to Suomenlinna takes 15–20 minutes and offers magnificent views of Helsinki and the surroundings from the sea. During the cold winter months, the trip through the ice-covered waters is a unique experience. FOOOOOOD!! This is my favourite subject to talk about. Throughout my 5 months living in Helsinki, I ate at A LOT of restaurants, I think that is where all my money went. Depending what kind of food you are in the mood for, there is something for everybody. From burgers to Michelin Star restaurants. You can feel it as soon as you step inside, they make you want to be there. Memphis was born out of love for urban life.Memphis offers delicious enjoyment for every moment of the day from a tasty lunch break to the lively living of the night. They offer starters, salads, burgers and sandwiches, vegetable dishes and delicious deserts. OK, so this was my favourite restaurant to eat at. I accidentally fell into this place at least once a week. I cannot speak highly enough of them! Imagine the best burger you have ever tasted..BUT 10 times better! It is better than Five Guys and Shack shack by FAR! Don’t even get me started on the different sauces they have to offer, they’re honestly the best. http://friendsandbrgrs.com/en/ Have a look for yourself at the dips they have. Or if you ever find yourself in Helsinki, or even in another country and you walk past Friends and Burgers, please go in, you will not regret it. OLO is located next to Senate Square in one of the small streets. This was the first Michelin Star restaurant that I have visited. The reason for us to go there was because our Italian friend is a chef and she wanted to experience real Finnish food, you can imagine how she analysed every single bit of the course. Even though the portions were very small, hands down was the best place that I have ever eaten. Of course, you’re all wondering where is the best place to be on a weekend? Here you won’t feel overdressed if you decide, for once, that you don’t feel like going out in your jeans and t-shirt – which is a good thing. The view over the Kamppi square (Narinkkatori) is fantastic and you can stand by the tinted glass windows watching the nightlife scurry across the huge square beneath you. 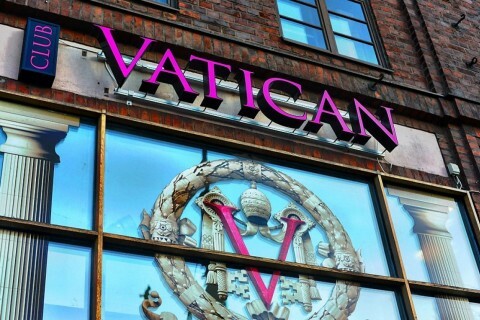 Vatican was infact the first nightclub we all experienced in Helsinki. It was a cold Saturday evening and we were all walking around the city trying to find somewhere to go. Our friend from Vietnam recommended to go Vatican, so that is just what we did. To be honest we said yes to anything considering it was already -6 degrees in September (That is warm for Finnish people). The music is just pure dance, so if you are into that, then this is the place for you. Occasionally, they dropped in some 90s hits which obviously I was loving. Namu is one of the most popular nightclubs in Helsinki and I didn’t managed to go every time I went out because of how much it would cost me. If you’re looking for a cheap night out, this is unfortunately not for you. The entry fee alone is 10 euros and you’re not even inside yet buying drinks, it’s good if you pree drink hard and go straight to the venue. They have different rooms, the main one is for dance/chart music and the other room is more house/dance/urban music which I loved. It’s definitely a night to remember. If you were thinking of visiting Helsinki, or just wanted to read some information on this city, I hope this helped you out. When you think about visiting a cold country, immediately people think Iceland. But I highly recommend giving Helsinki a try, it reminded me of a mini New York. If you do visit, enjoy the landmarks, the weather, the culture and really get involved.